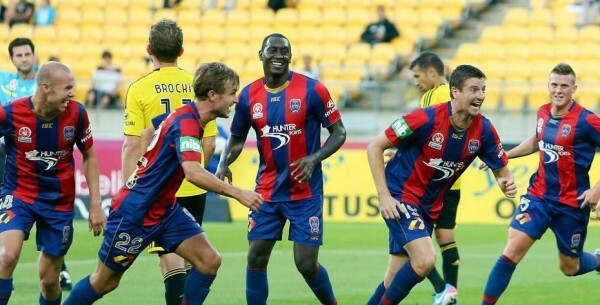 The Newcastle Jets of the Hyundai A-League recently met Robert Hughes of Armourflex and Reviewed his new product concepts and ideas. Our Club was impressed with the professional presentation of the product and the potential to help protect players from ankle injuries. The Club has taken delivery of the Armourflex products and will trial them with our Emerging Jets Junior Development Program in 2014. The club also intends to offer sample products for sale via the Club Online Store. 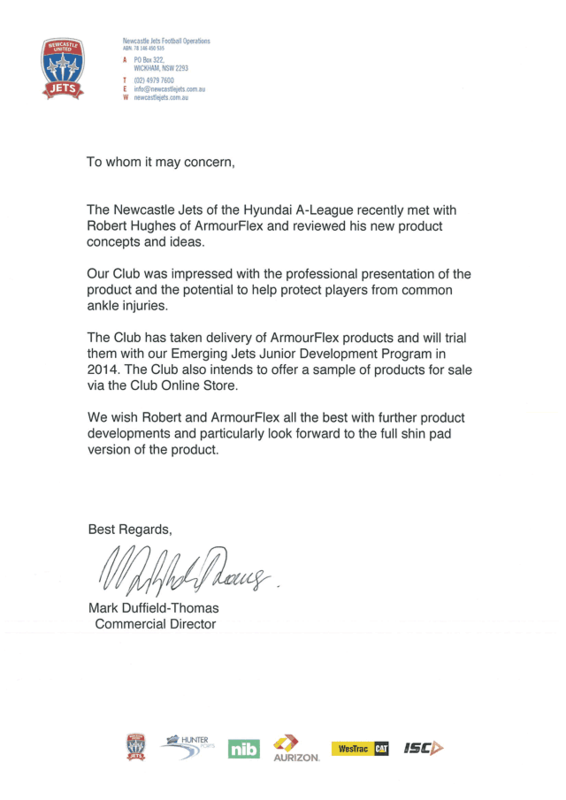 We wish Robert and Armourflex all the best with further product developments and particularly look forward to the full Shin Guard version of the product.